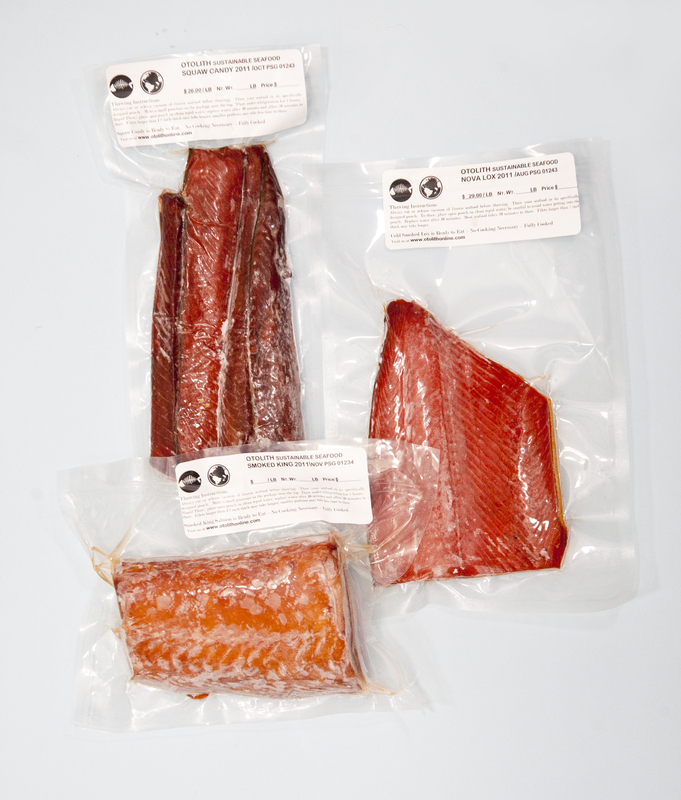 Harvest Area: All of Otolith’s smoked fish is harvested in Southeast Alaska. Smoking Process: Otolith’s smoked ish does not contain any nitrates or additives. Our ingredients are always fish, salt, and wood smoke [sugar and soy sauce in Squaw Candy only]. Smoking Seasonality: Our fish is usually smoked in November using only fish from the current year’s harvest. Use Otolith’s links above or the dropdown menu [Smoked Fish-Smoked Sablefish-Smoked King Salmon-Squaw Candy-Red Lox-Smoked Red] to learn more about the unique qualities of each smoked delicacy. Check out our blog for an awesome recipe for any smoked fish!